Last week I showed you guys my patio makeover! 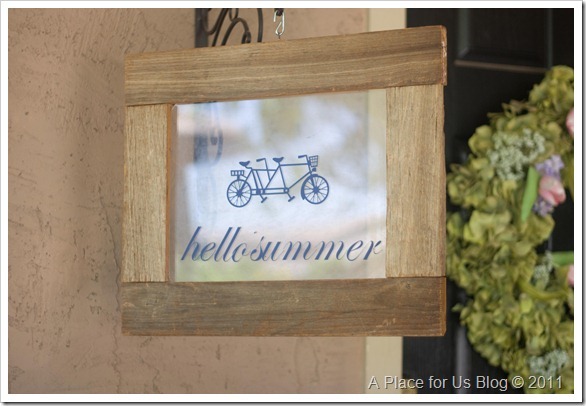 Today I want to show you how to make your own Hello Summer sign using your silhouette. I’ve been wanting to do this for awhile but now that I have NEW fancy silhouette machine I can do all the projects I want! Last year during one of my Goodwill trips I picked up a chippy wood frame. It has been floating around the house trying to find the perfect place to land.! The front patio was it! 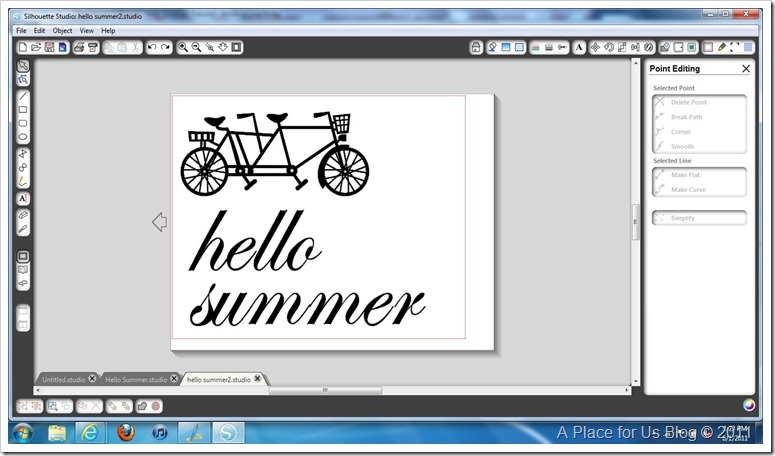 I uploaded the tandem bicycle to my silhouette machine. This, to me is a perfect symbol for summer! Bicycle built for two! A big oak tree with a tire swing, lemons, and a bathing suit are all great choices to! 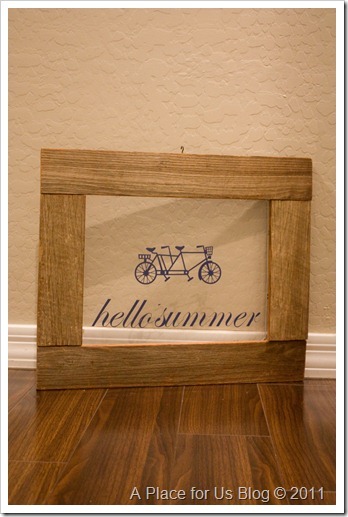 The font I used was Edwardian Script to type out hello summer. Then I printed it off on the beautiful navy vinyl! Attached it to the glass part of the frame and tada! If you don’t have one of these machines, you can easily do something like this with a stencil or free hand if your fearless! It can be an easy printable also! Just make sure you seal the frame with some clear protectant for outside use!! Have fun! 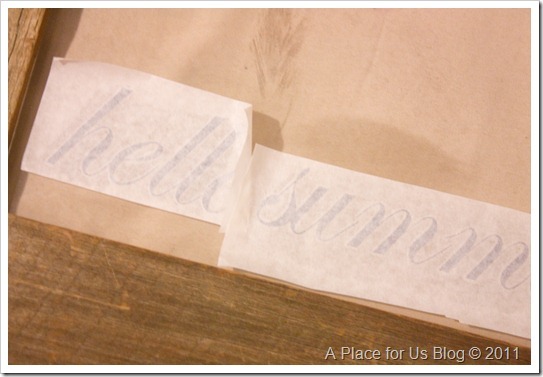 Check out A Place for Us reader, Maggie’s “hello summer” sign that was inspired by mine!! adorable! Oh, darlin’ girl…thank you for the shout out! You are the absolute best! 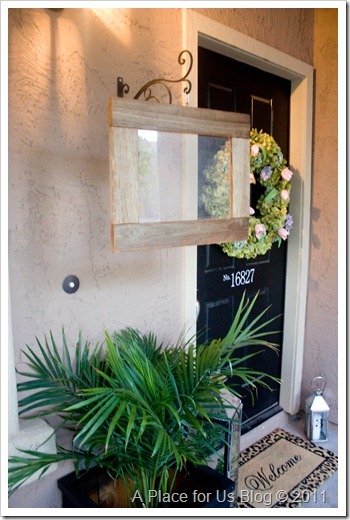 Oh BTW…Come by and look at my chalk paint redesign for a client and a peek at another’s home! This is SO cute! 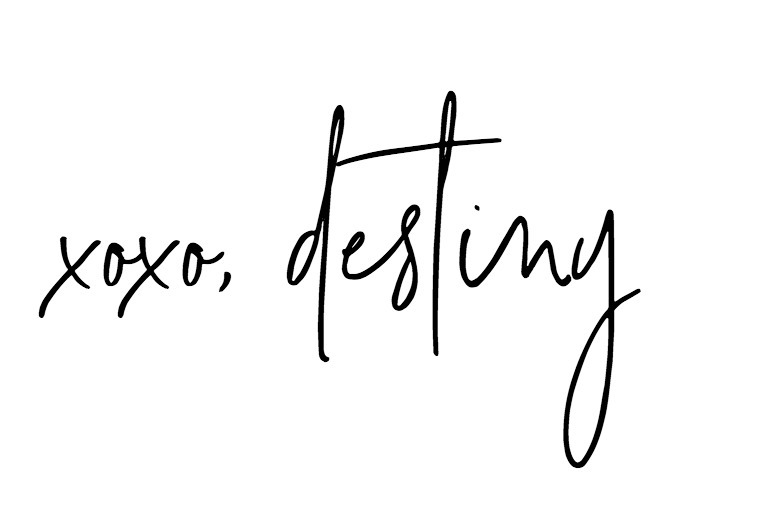 I just stumbled across your blog from who knows where, and I just LOVE your style! New follower now!